As one of the most popular eCommerce terms passed around nowadays, drop shipping is something that anyone looking into doing serious business online should look into. Next to working with manufacturers or wholesalers, this is one other way of approaching eCommerce when looking to sell a physical product. Drop shipping is the process of handling and shipping a product by an entity other than the one who made the initial sale. This is a method that has many advantages and disadvantages and it should be looked into from both points of view: the one of dealing with a drop shipper but also the one of becoming one and expand your market outreach. By now the prospects of working with such a company who handles all the physical stuff for you must be very appealing. And it should be, since all you will have to do is set your own profit margins, advertise, make the sale and repeat. You will only pay for the products you sell. Since you don’t have to worry about inventory losses the financial risk is quite low and it only arises when the drop shipper is not a reliable one. This is where good customer service comes in place, as products may be delivered late, lost in transit, backordered, or simply no longer available. When working with a drop shipper your focus other than make the sale will be to build ad maintain a good reputation, something that can be a challenge since you don’t control the entire process of the sale. As a business you should always ask yourself what is drop shipping and what it can do for you. The advantages of having items handled by a drop shipper are certainly worth considering. Now that you have an idea of what is drop shipping the next step will be to find one. And this is not an easy task. As with many other popular requests, Google will often give you a ton of options to choose from and get lost into. That is why is a good idea to visit forums and communities that debate this subject. The Salehoo forum is one of the best such resources not only because people share their experiences with the thousands of drop shippers available in the company directory but also because it’s a forum that you can only access by membership and therefore the information is not as diluted as with public forums. Even in such an environment you will have to do a lot of research because most members will not disclose their reliable sources directly. In some instances, for some niches, it will be a process of elimination as surely many bad drop-shippers are being mentioned. Can you make money with drop shippers? Whether you’ll find some free drop shippers on Google or access the Salehoo directory you will notice that most of the products available from these companies are either crap that no one wants or there are good ones already selling for the same price or even lower offered to you by the drop shipper, thus leaving you no room for profit. This is the part where many people loose interest and move on to other opportunities. The ones who don’t give up and keep researching are the ones who will make it in this market. The reality is that with the online outreach the market is huge and there are many types of buyers; some who have the time to search for the best prices and places to buy stuff from and others who don’t or they don’t care; there’s plenty of both. If a product is sold on eBay or Amazon for the same price you would get it from a drop shipper or even less you don’t have to imagine that all buyers will go there to buy; some of them may hate eBay from previous experiences. Besides, there are so many sites where you can pay for advertising, like Google Adwords for example. There, from those adds, buyers find out about some products that they did they know they needed in the first place. Most will buy the product as the add will sell it to them. Companies have been using sales people for decades to help them find clients for their products. It’s a practice that took new forms with the Internet revolution. While most retailers already have a presence online, they can only use it to an extent for their outreach, mainly affected by their brand recognition. 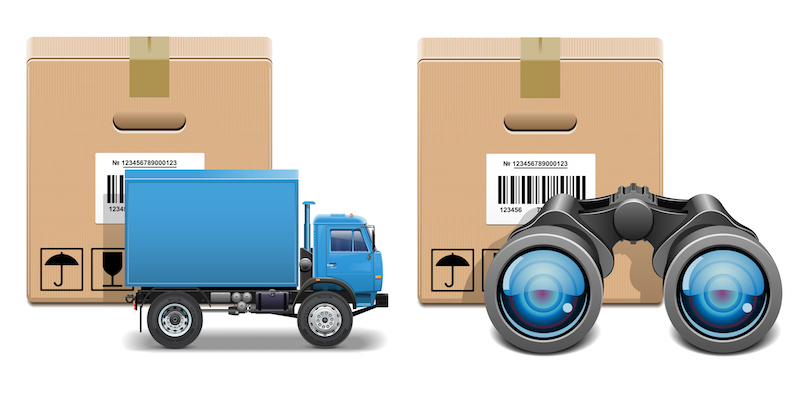 So what is drop shipping and how it can help a business? Since there are many online entities that already have a strong niche presence and they can produce sales, the logical step for these companies was to get involved with these entities, whether by offering affiliate programs or drop ship products for them. Being a drop shipping company may sound complicated for small businesses but with today’s tools available, it’s a simple process that can be applied in quite a few ways. Sellers from eBay or Amazon are just a basic example of some of those who can become business partners in such a process and it’s fairly easy to happen. As a drop shipper you can be relieved of the sales process and the difficulties that come with it and focus on handling your inventory and maximize your profits. How to become a drop shipper? As a retailer or wholesaler, once you understand what is drop shipping and what it can do for you as a business, it’s time to advertise yourself for doing such services. The demand for reliable drop shippers is very high and, even if it may take a while to establish a reputation, it will be a long-term process that will surely increase your sales. It’s best to avoid registering yourself as drop shipper in any directories as you may get mixed up with others that may not have such a great reputation. Once again I suggest you get on Salehoo directory where you will be able to advertise and respond questions that sellers may have. All in all drop shipping is a practice that has been gaining huge popularity over the recent years and it should be something to consider from both perspectives as it serves all parties involved and let them be the best at what they do. It’s an ideal situation that is not easy to be achieved but the possibility is out there and well worth the effort. Well written and presented article.Much informative too.